The left-leaning Center for American Progress lists 22 Texas counties among the 30 in the nation that are most likely to benefit from the Affordable Care Act. But the federal health law's critics question how effective the reform will be. 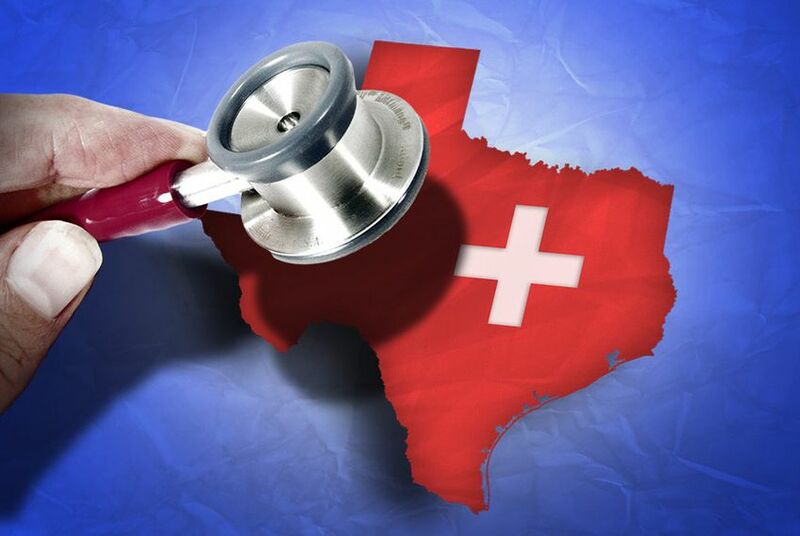 Twenty-two Texas counties are among the nation’s 30 worst for health insurance coverage, according to a report released Thursday by the left-leaning Center for American Progress. The 30 worst counties were chosen by their “percentage of uninsured individuals and health-related outcomes,” according to the report. The report analyzed uninsured rates by county for total populations under 65, women under 65, men between 18 and 39 and total population between 18 and 39 — in addition to looking at populations between 138 and 400 percent of the poverty line. More than 6 million Texans lack insurance coverage — a quarter of the population, and the highest state rate in the country. According to the report, those Texas counties will be among the most likely to benefit from the Affordable Care Act, whose major components are scheduled to take effect in the coming months. Starting Oct. 1, Texans will be able to purchase insurance through a federal exchange, and the individual mandate requiring all Americans to have health insurance will kick in starting in January 2014. “It really is long past time for us to stop thinking of this as a debate between Democrats and Republicans and think of this as a human issue,” Tom Perriello, president and CEO of the Center for American Progress Action Fund, said in a media conference call. Having a high uninsured rate poses “enormous human and economic inefficiencies,” Perriello added. About 40 percent of uninsured Texans — more than a million people — will qualify for subsidies to purchase insurance through the federally created marketplace, Health and Human Services Commission spokeswoman Stephanie Goodman said. But John Davidson, a health policy analyst at the conservative Texas Public Policy Foundation, said many Texans may be uninsured as a personal choice. For those people, he said, subsidies may not be a compelling reason to purchase insurance. “A government subsidy that pays a part of a premium they don’t feel they want to pay now is unlikely to persuade them to purchase insurance,” he said. Thursday’s report is one of several released recently suggesting that the Affordable Care Act could benefit Texans. A report released Wednesday by the U.S. Department of Health of Human Services said the Affordable Care Act will increase coverage options and decrease prices for Texans seeking coverage. Goodman said the federal health law will “have a significant change on the level of uninsurance in Texas,” even though the state is not expanding Medicaid, a major component of the health care reform. John Greeley, a spokesman from the Texas Department of Insurance, said his agency doesn’t “really have any hard or fast picture of what’s going on” at the federal level with the exchange, adding that the insurance department focuses on enforcing state rules rather than national reforms. In the media call, Perriello said comparing premiums before and after the Affordable Care Act may be difficult right now, but he added that more holistic comparisons suggest the law will benefit Texans. “The people of Texas will have access to these exchanges, and Obamacare will apply to them, whether Gov. Perry wants it” or not, Perriello said. But Davidson said the state is not obligated to implement or promote federal laws. “State employees and state tax dollars should not be used to pass a law from Washington,” he said.